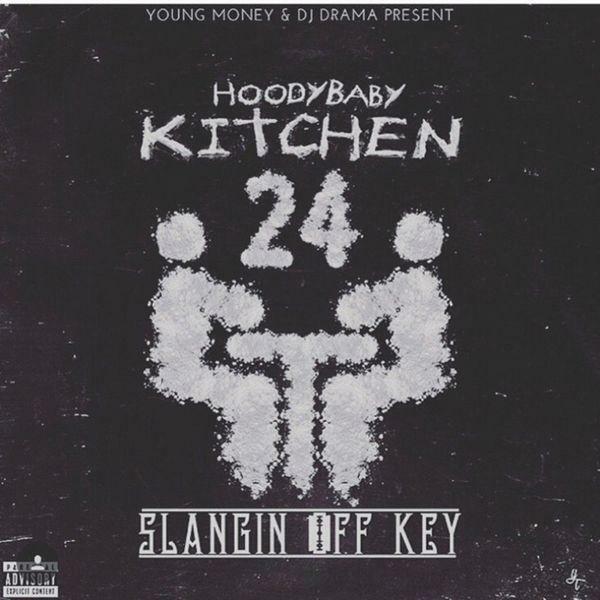 Stream/download HoodyBaby's new mixtape "Kitchen 24: Slangin' Off Key" featuring guest appearances from Lil Wayne, Tyga, Wiz Khalifa, Chris Brown, Quavo & many more. As expected, Young Money Radio was aired for the very first time a few hours ago where HoodyBaby’s new mixtape, Kitchen 24: Slangin Off Key, was premiered live on air. Immediately following its debut though, the mixtape was released universally, and fans ought to be excited. Hosted by DJ Drama, the project contains 14 tracks in total & features guest appearances from some of the biggest names in the game, including YM boss Lil Wayne, Tyga, Chris Brown, Quavo, Wiz Khalifa, Yo Gotti, Gudda Gudda, Kevin Gates, and more. There’s even production from Timbaland, who helps construct the record “Fresh” with Yo Gotti & Maserati Ye.